Yue Fei’s baby boys try to rush home with the news that they had overheard. The youngest (Yue Yun was it?) is sent to find Yue Fei first while the oldest (Yue Ting?) creates a diversion. 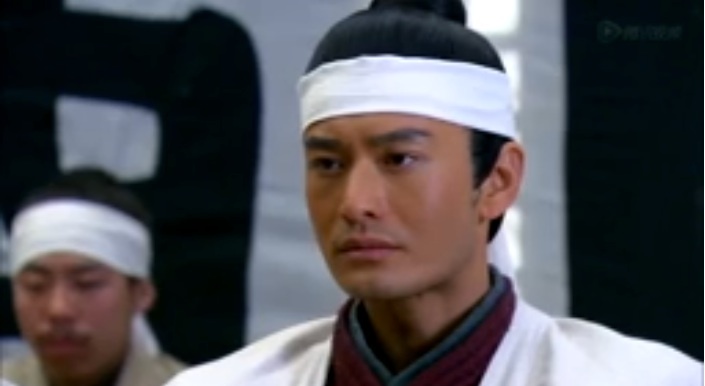 But Zhang Yong rushes in, telling Yue Fei that General Zong is also in trouble. The city he was guarding has falled to Jin. Yang Zai Xi volunteers to help the Yue Family. The family splits up in the woods, because Jin has caught up. They all get surrounded anyways. Yang Zai Xin gets his hero moment as he rides up. Turns out the Jin leader is his old bandit leader. 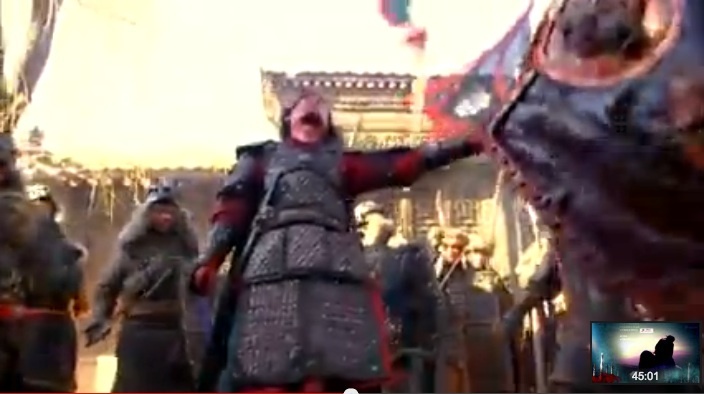 Yang Zai Xin bravely defends Momma Yue and co., even when he’s shot in the arm with an arrow. He ends up killing the bandit leader. Poor Xiao E and Yue Fei’s daughter are captured. Oh bloody hell. They weren’t kidding about General Zong’s losing battle. OH HELL NO, Nephew Zong just died. How what why. THIS SHOW. He gets speared so many times, and he falls to the ground ridiculously bloody. 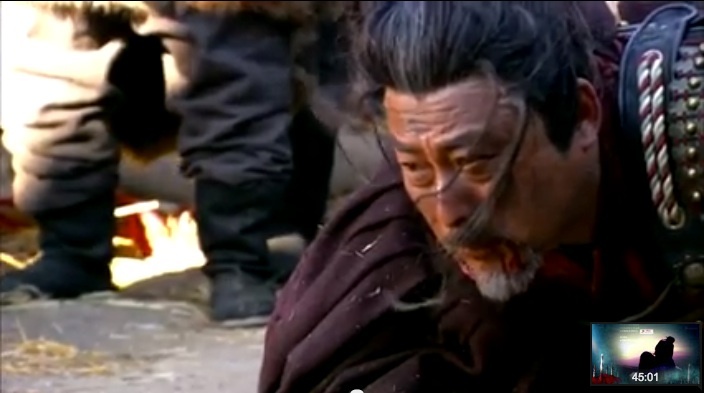 General Zong gets beaten and speared as he crawls towards his nephew’s body. Yue Fei and his reinforcements finally arrive, too late to save anyone. I expected this, but it’s still so sad. I loved the nephew, even if I didn’t always like the general. 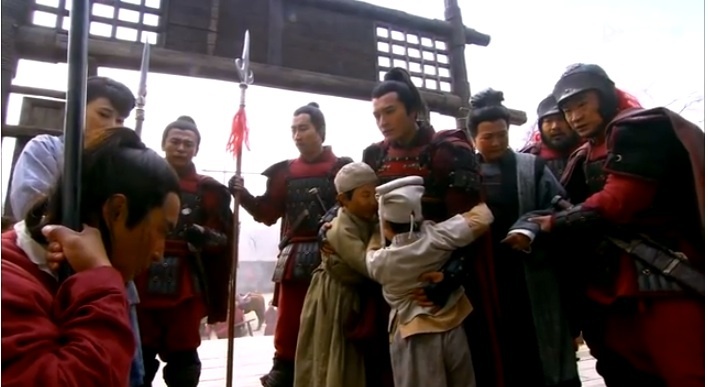 General Zong manages to eke out a few words to Yue Fei back in camp before the old man collapses in Yue Fei’s arms. Xiao Hui patches up Yang Zai Xin’s wounds. Aw, Momma Yue has finally cracked. Yue Fei arrives to find that Xiao E and his daughter still haven’t been found yet. Lady Storyteller shows up to sum up the events. Oh what, General Zong FINALLY dies. The entire court dresses in white clothes of mourning as they remember the old general. (Totally inappropriate, but squeee over Han Shi Zhong). Everyone mumbles about how late the Emperor is to the funeral. Su Su even shows up to pay her respects. And oh no, Jin people show up to crash this funeral. LOL why do I remember Zhuge Liang’s show of grief for Zhou Yu? This just isn’t healthy. This entry was posted in Chinese Dramas, Culture, Drama Recaps/Reviews and tagged 精忠岳飞, Episode 26, Huang Xiao Ming, Jing Zhong Yue Fei, Patriot Yue Fei, Recap. Bookmark the permalink.